The Larimer County Genealogical Society is pleased that you have joined our society. You will find many benefits as listed in our Membership page or our Membership Directory. Our new members can view our many webpages to find what our Society has to offer. If you don’t find answers to your questions here, contact the relevant Committe Chair or the President. Meetings are on the third Thursday of each month at 6:30 pm except December. The January meeting includes the annual business meeting when officers are elected. Transportation is available to take you to the meetings. If you want to attend the Larimer County Genealogical Society’s monthly meetings at the Old Town Library, but do not have a means of transportation, don’t want to drive at night, or would just like some company to go with, we have a group of volunteers ready to provide transportation. If you should need a ride, please contact Kathy Patrick at 206-1664 and she will arrange for someone to pick you up. 48 hours notice would be appreciated. Society events and classes are listed monthly in the newsletter and on the website calendar. We host quite a few classes and workshops on genealogical topics like: Genealogy 101, Genealogy On the Internet and much more. In addition, all general meetings except the annual business meeting, have speakers who lecture on a broad range of genealogical topics. The calendar also shows programs sponsored by other organizations such as genealogy conferences in the area. 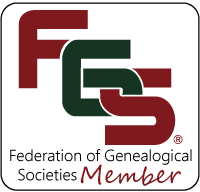 We strive to keep our members informed of anything that might be interest to genealogists. Our bimonthly newsletter is distributed in February, April, June, August, October and December. You can view our Newsletter Archives going back to 2003. The newsletter includes our president’s message, Family History Center news, genealogy websites, society events, genealogy research tips and member’s ancestor stories. The membership term is January 1 to December 31 so your membership will come up for renewal at the beginning of the year, regardless of when you joined. 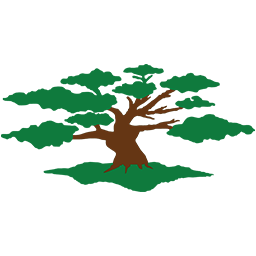 Renewal applications will be available online at the bottom of this webpage and at the general meetings. Our Membership Directory is published in April. The directory includes a history of the Society, names and biographies of the Board Members, a list of Committees, photographs and contact information for each member plus our many classes and workshops. There are many free and subscription genealogy databases available for new members to start researching their ancestors. Ancestry.com is the most popular subscription database, with over 1 billion records worldwide. Available at major libraries in Fort Collins and Loveland plus all FamilySearch Centers. Many of the subscription databases offer one to two week free trials and monthly or annual rates. We are very proud to have several of the original twenty charter members still active with our society: They have been dedicated members of the Society since its inception over thirty-five years ago. If you want to see more info on our charter and our multi-year members, please visit our Charter & Multi Year Members webpage. View our Society Committee page to see volunteering opportunities available to you.